Pinterest seems to bring out everyone's inner Martha Stewart, don't you think? 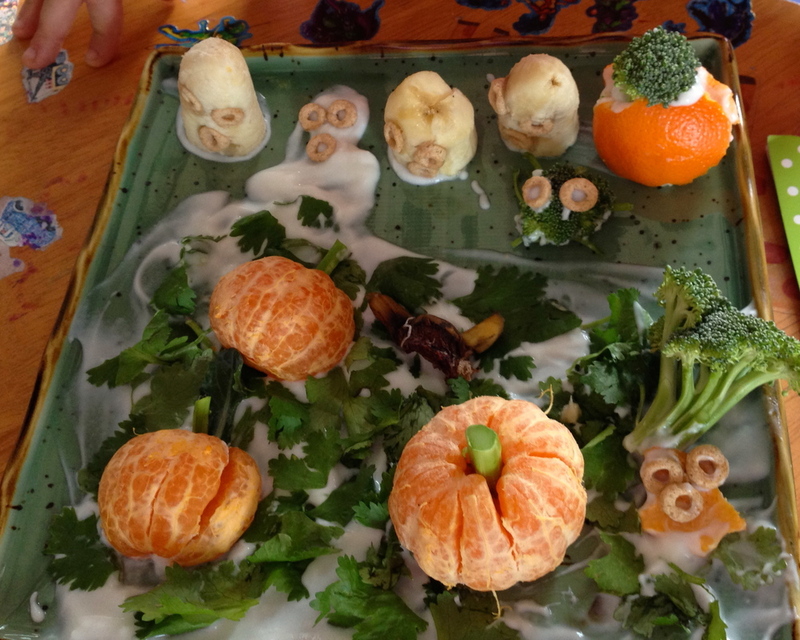 My daughter and I were browsing Pinterest the other day looking for Halloween crafts and found one particularly popular food-related craft with clementine and celery "pumpkins" and banana-chocolate chip "ghosts." You know the one I'm talking about. I guess my daughter got inspired. She disappeared into the kitchen, shut the door and demanded absolute privacy. (Is 7 the new 12?) Anyway, here's the awesome Halloween Garden that emerged!